The process of making syrup is an easy one: Tap trees, collect sap, boil it down to evaporate the water content and concentrate the naturally occurring sugars in the sap. 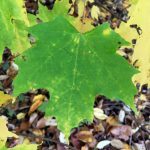 But if you’re a homesteader new to sugaring, how do you evaporate gallons of sap effectively and efficiently? In this post I’m going to help you choose the right evaporator for backyard sugaring by sharing the pros and cons of a few methods that have worked for us, from DIY set ups, to investing in equipment that makes the job easier and more fun. 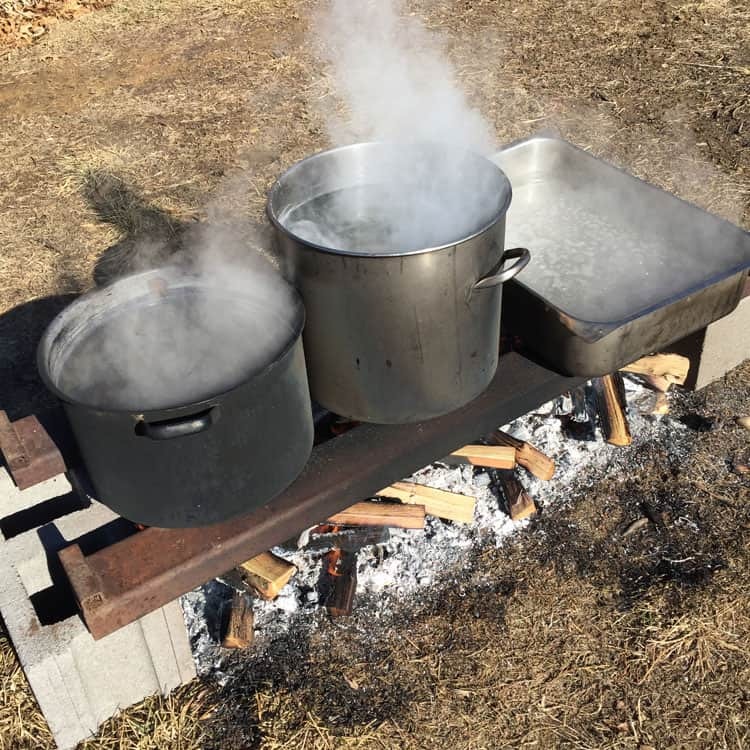 Our first year or two making black walnut syrup in NE Missouri, we relied on a very simple system: A canning pot over a three stone fire. We were brand new to this whole sugaring experience, and wanted to dive in with little investment. We bought a dozen or so metal spiles (taps) from Leader Evaporator (here is a less expensive plastic tapping spile), used clean milk containers and food grade buckets to collect sap, and boiled down the sap over an open fire. 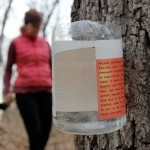 One taste of the black walnut syrup, and we knew we’d be tapping trees every spring to come! (An aside: I’m often asked about the flavor of black walnut syrup. My assessment is that it is more earthy and nutty than maple syrup. If the two syrups were members of a string quartet, maple would be the violin, and black walnut would be the cello). A lot of wood smoke in the eyes! 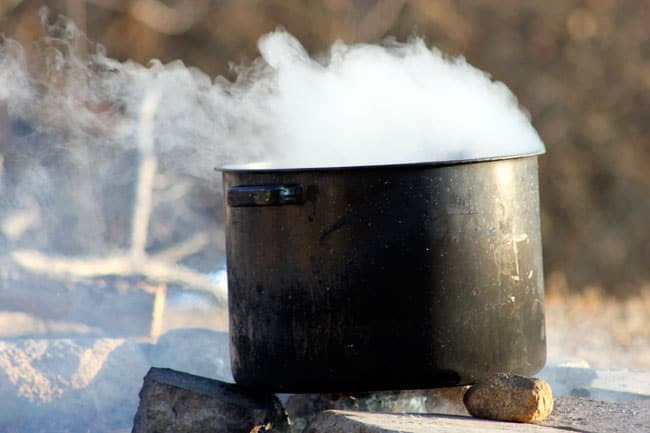 *I should note that the process of finishing maple syrup can be done indoors on your stovetop or wood stove, but I do NOT recommend boiling your sap indoors – you will end up with a steamy, sticky finish on your walls (ask me how I know). Once we committed to sugaring as a ritual of late winter/early spring, we wanted to upgrade our equipment just a bit. The solution: Taking that same open-fire canning pot idea but building a more sturdy concrete block base, and adding hotel pans to our equipment list. You can see the set up in the photo above: Two long metal pieces (my husband is an artist blacksmith, so there is always metal lying around!) balanced on concrete blocks over an open fire. We still have our friend the canning pot in use, but have added a full-sized hotel pan. My friend Abigail has a nice cinder block evaporator on her blog, if you would like to upgrade to a slightly more fancy version! It is challenging to lift and pour a hotel pan full of syrup! Okay, this is where sugaring starts to get real. If you are committed to the process of making syrup, and tapping at least 20 trees, I recommend investing in some infrastructure to make the sugaring process more efficient and fun. This can range from a full-on sugar house and permanent infrastructure, to a homemade evaporator, to anywhere in between. We recently received a Sapling Evaporator from Vermont Evaporator Company, a family-owned business that is right down the road in Montpelier, VT.
Have you ever gotten a thrill from a new tool – one that you can tell is so well designed and built that you know it is going to give you years of pleasurable use? That’s how I feel about the Sapling Evaporator. The Sapling unit is a continuous flow evaporator, which means that one can simultaneously draw off syrup and add new sap without having to completely empty the pan in between boils. I also really love that the steel barrel design, coupled with an exhaust stack, means that you can stand around the evaporator, smelling the sweet steam and not inhaling wood smoke. 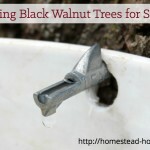 Of course, there are more technical details about why it’s a great option for backyard sugaring, and I’ll let you read more about those here. 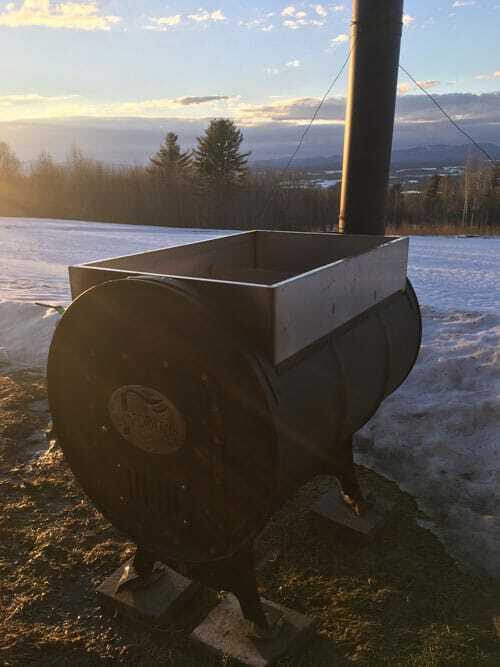 If you are not quite ready to invest in an evaporator, Kate Whelley McCabe, VT Evaporator’s CEO suggested an in-between option: Keep your homemade firebox or open fire, and invest in one of their Seedling or Sapling evaporator pans. 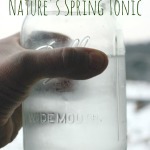 You’ll get the benefit of the continuous flow and easy pour off, with a lower price point. In summary, choosing the right evaporator for backyard sugaring comes down to your level of commitment, number of taps, and ability to invest in infrastructure. If you’re just getting started, or if you only have a few trees to tap, a DIY set up is going to work just fine for you. But once your passion for sugaring grows (as mine certainly did!) there are benefits to investing in some equipment that is going to make the process much more efficient and fun. 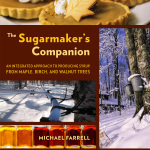 If you’re needing more information on the process of tapping trees and making syrup, here are a few more resources for you. Happy sugaring! Hi there, do you have any recommendations for whole house filters? We are still on city/county water but want to remove all the chlorine etc. Unfortunately, I don’t have any experience with whole house filters, just the Berkey.